Apologies if this has already been answered. Is it possible to view supplier statements? I can see how to get statements for clients, but can’t see these on the supplier side. I think it was mentioned some time ago on our old forum. The problem with supplier statements is that they seldom match those actually issued by suppliers due to subtle differences in accounting practices. Also client statements are documents actually issued to clients as a means for requesting payments, whereas supplier statements would only be used for internal reconciliation processes. There are already a number of ways to see outstanding supplier invoices, grouped by suppliers, aged etc. So creating a dedicated supplier statement would be time-consuming and doesn’t really appear to solve any real problems… just my thoughts. The issue I have is that quite a few payments have been allocated to suppliers and not matched to specific invoices. This has resulted in a lot of ‘negative’ supplier balances; but I can’t see a way to get get a list of these. Once I get this, I suppose I could manually match all invoices & payments to reconcile the accounts. You can then order the table to rank by credit size. You should then be able to drill down into each and allocated those credits to any unpaid invoices. Would love to see a Supplier ledger activity report (showing debits/credits together) or the same report we can see in Customers (Customer Statement). This is one of the gripes many of us have with Xero, only able to view a Customer statement, nothing for a supplier. I’ve moved your request into the existing supplier statement request. We’ll continue to monitor the interest here going forward. I would equally like a supplier statement. Definitely need a supplier statement or a report to view all transactions on supplier account. Trying to locate mispayments, overpayments and credits seems really complicated. Or am I missing something, is there any easier way? You can go to the supplier management screen and select the supplier in question. click on View and select All Payments. 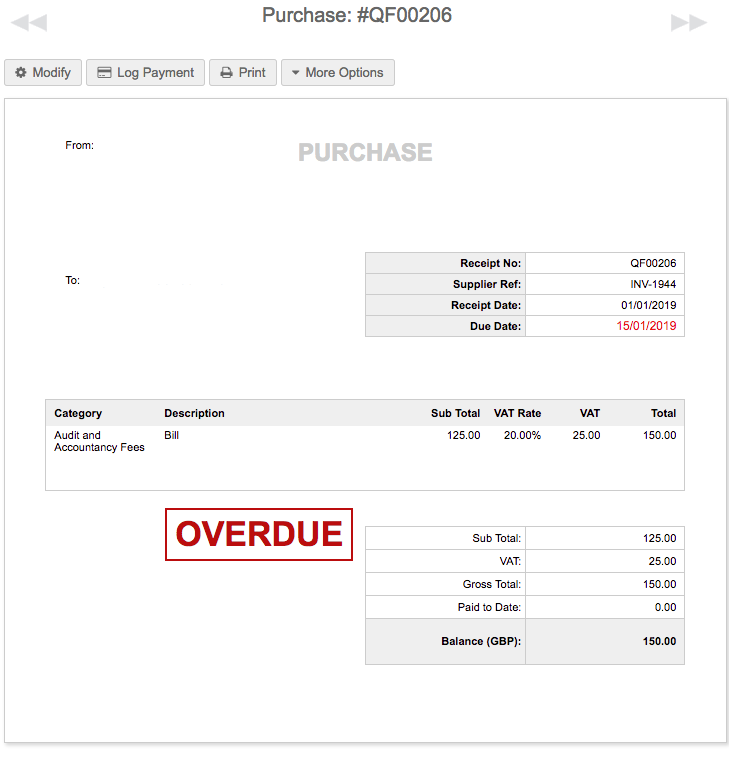 This will list all your payments for that particular supplier. From here, you can do advanced search based on whether it’s allocated or not. You can also search by value, date and payment method if you wish. One report to show all, similar to client statement would be much preferred please. Definitely could do with this please. Even if the exportable data for suppliers in both the invoices and payments sections were merged it would help. At present the payments show the allocation to the QF reference but not the supplier reference. The invoices data show both references and the amount, as well as if it has been paid, but not the date of payment. Some of our suppliers have hundreds of invoices a year so we make batch payments and often need a statement. Many thanks. +1 for supplier statements. Essential for reconciling a statement received from a supplier with your own account for transactions with them. As someone else said, one of the big issues with Xero is that you can’t do this - it’s one of the reasons I decided to give QuickFile a go! Also, the data export for invoices doesn’t show the supplier invoice number, only the description and the QF reference. This is really unhelpful. Screenshots attached to illustrate. Apologies for the delayed reply. If you click the button in the top right “Modify Columns” you can opt to show “Supplier Reference”. Then when you export the CSV that column will also be included in the output. I’ve updated the main feature request to “Under Consideration”, so we will look at some different options here. Many thanks Mathew. I hadn’t noticed the ‘Modify Columns’ option - it’s VERY greyed out! Glad that the feature request status has been bumped up. An improvement would be very welcome.